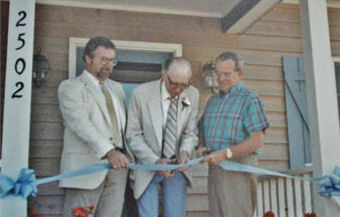 Stan White Realty & Construction, Inc. began in the home of Stan White in 1972. We opened our first office in March of 1985 in the adjacent building, built by Stan White. In December of 1987, the company expanded and moved to its present building. Also built by Stan White Realty & Construction, Inc., our office location at 2506 South Croatan Highway, at milepost 10.5 on the 158 bypass, is the home of our headquarters where the majority of our core operations take place. The staff, which consisted of Stan, Susie, and two construction crews in 1984, had grown by 1988 to Stan, Susie, plus two construction supervisors, many crews, two secretaries, a bookkeeper, a staff accountant, a property manager, a sales manager, and fifteen agents. Due to the market slowdown in the late 80’s and early 90’s, we streamlined operations. It was in late 1992 when the Whites decided it was time to expand North and purchased Duck’s Real Estate in Duck, North Carolina. In 2000, the Whites made a decision to expand further North to Corolla. 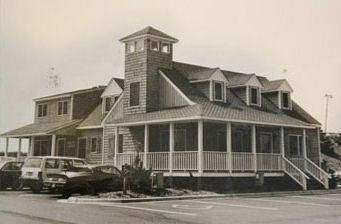 The opportunity to purchase prime commercial property in the heart of Corolla was all it took. They decided to build their own commercial complex, and in October 2001, Stan White Realty opened its Corolla doors for business. Even now, the company is privately held by owners and officers Stan and Susie White, and their son John, who all grew up on the Outer Banks and still reside here to this day. Their shared love and knowledge for the area has been the driving force behind the company’s many years of success.